The Ashanti Regional Chairman of the New Patriotic Party, Bernard Antwi Boasiako has been granted bail after he was detained overnight by the Police. The Asokwa District Magistrate court granted him bail in the sum of 20,000cedis with two sureties. One of the sureties should have a landed property or deposit an amount of 10,000cedis. 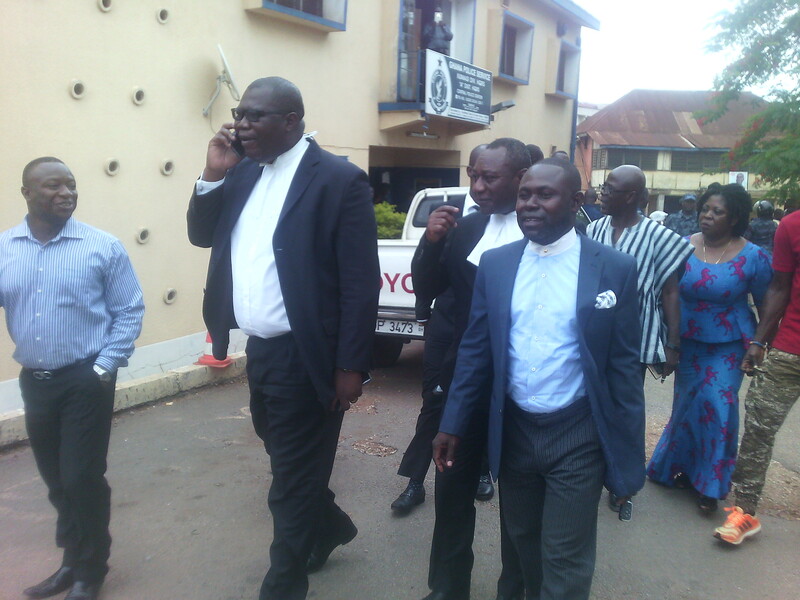 The judge Owusu Korkor adjourned proceedings to June 1, 2016. 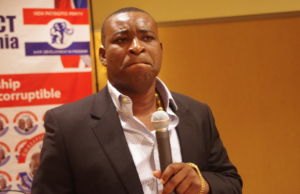 Egbert Faibille Jnr acting as counsel for embattled NPP leader commonly known as ‘Chairman Wontumi’, had asked for a two-week period to settle out of court a case of assault. He says the alleged assault by the NPP regional chairman against an MP is a family matter. 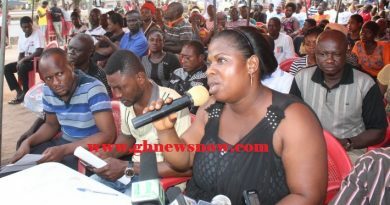 It can be resolved in the interest of the opposition NPP, he noted. New Patriotic Party Supporters In Ashanti Region at Kumasi Magistrate Court. Mr Antwi-Boasiako allegedly slapped MP for Manhyia North, Collins Owusu Amankwah, and constituency secretary Felix Ibrahim at a polling center during a during the limited voter registration exercise, Sunday. Mr Boasiako reported at the Central Police Station in Kumasi, Tuesday after being declared wanted. 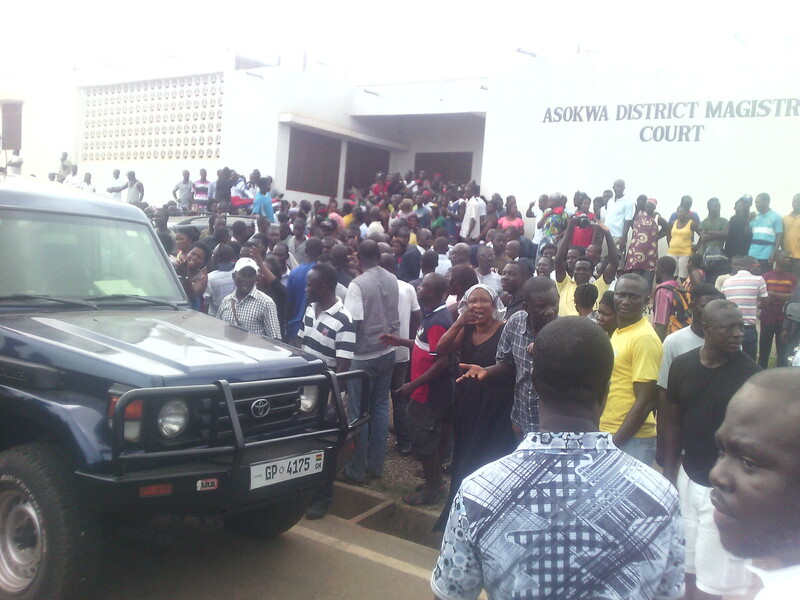 Some supporters of the NPP besieged the Central Police Station to protest his detention hours after he reported. They considered it a simple assault, which should be handled by party executives and not the police. 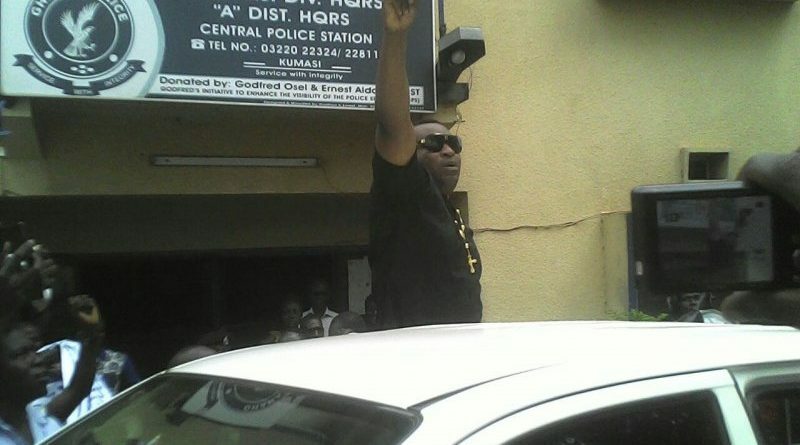 Chairman Wontumi was hailed by party supporters as he entered court for the start of proceedings Wednesday. Party supporters, some of whom had camped at the Central Police Station, were loudly chanting while proceedings were ongoing. 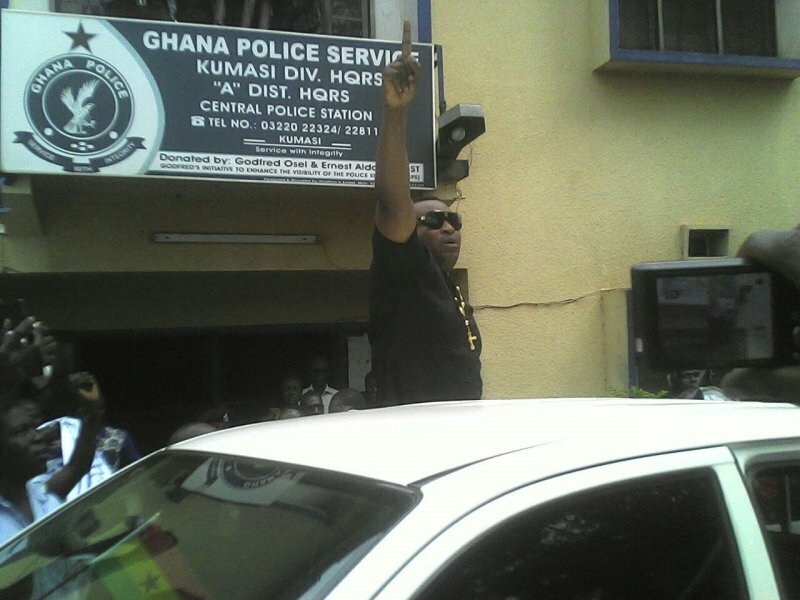 Inside the packed court, Chairman Wontumi was buoyant and was seen occasionally winking at party leaders who were keen to secure his release. During the tense proceedings, lawyer Egbert Faibille Jnr suggested that the continued detention of the party chairman would distract the NPP from monitoring the on-going limited voters’ registration exercise, the lawyer suggested. Mr Boasiako who is also known as Chairman Wontumi has been charged with assaulting a public officer. 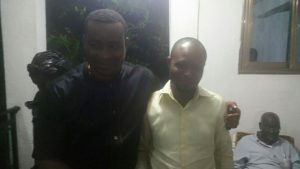 Counsel for the accuse person Egbert Faibille Spoke ghnewnow.com Kumasi Editor Isaac Bediako after court proceedings. Meanwhile, lawyers for the MP and the Constituency Chairman have withdrawn the assault complaint they lodged against Chairman Wontum. Superintendent Emmanuel Akonor is Ashanti regional prosecution officer.